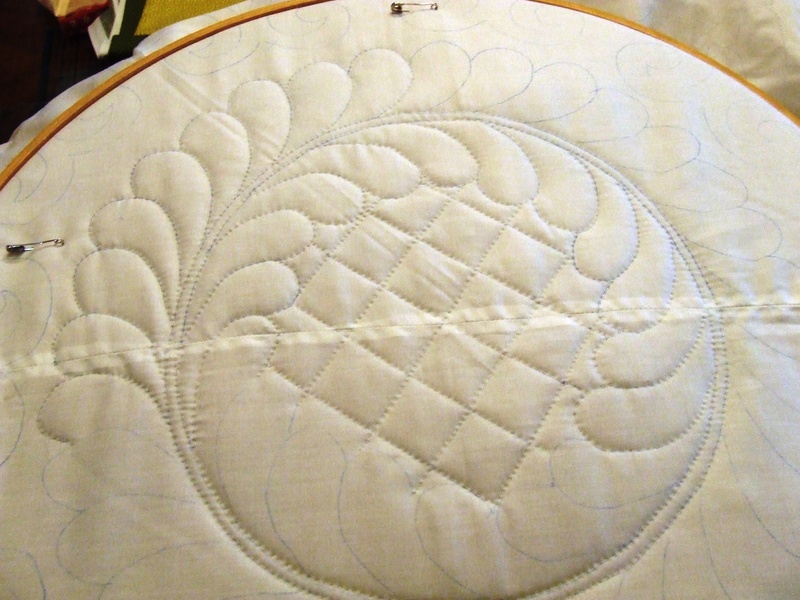 I have had a very busy week so I have not done a lot of hand quilting. I did make some progress on this one. 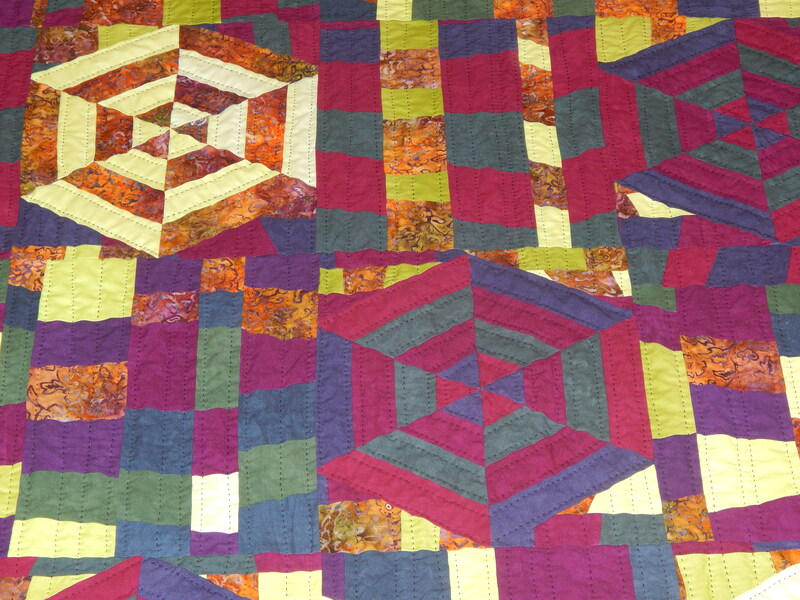 I hope to have a lot of time to quilt on Sunday so more updates coming soon . 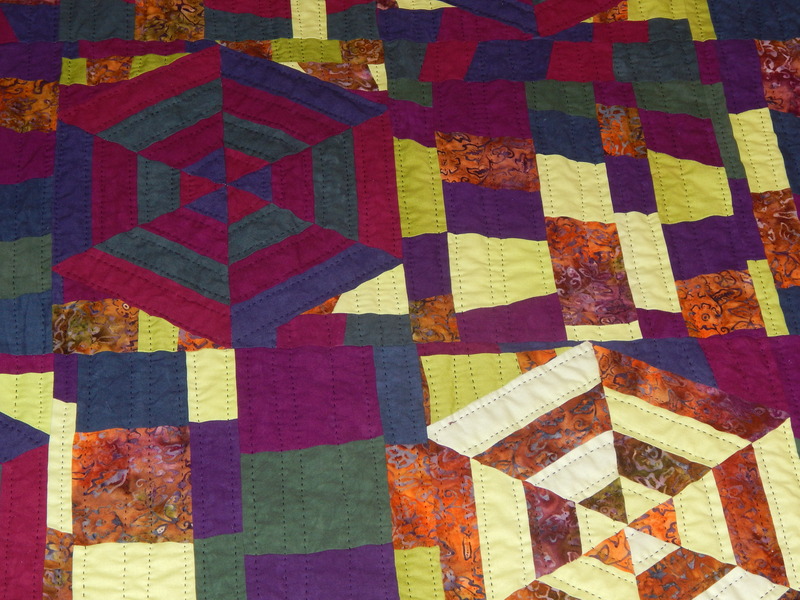 Have you seen the Why Quilts Matter series? 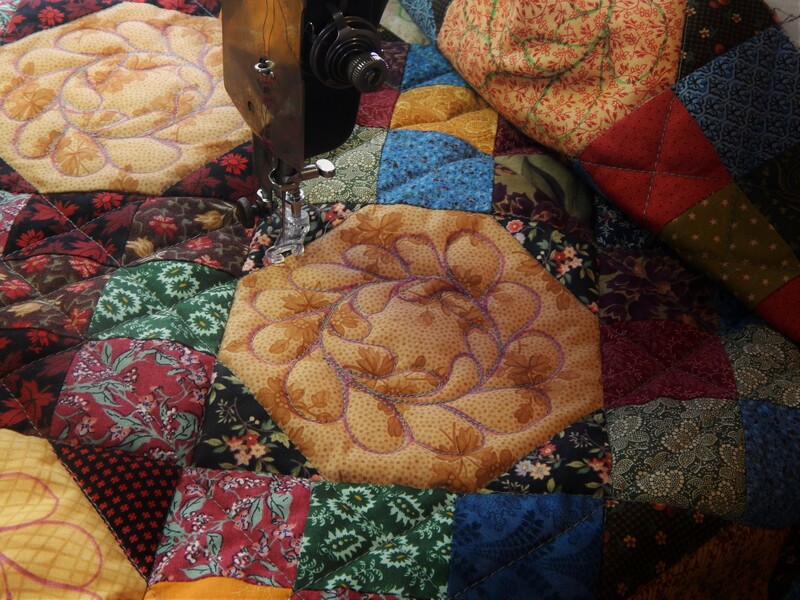 is the landmark nine-part documentary series that offers a fresh, relevant exploration of quilts. This fascinating series explores quilts in fresh new ways by taking you behind the scenes to reveal the unique position of quilts at the center of American culture. You’ll go on an amazing quilt journey from function to art, to women’s empowerment, economic clout, American politics and beyond. It is a wonderful series and I highly recommend it. I am honored to be featured in a Q & A on their blog . 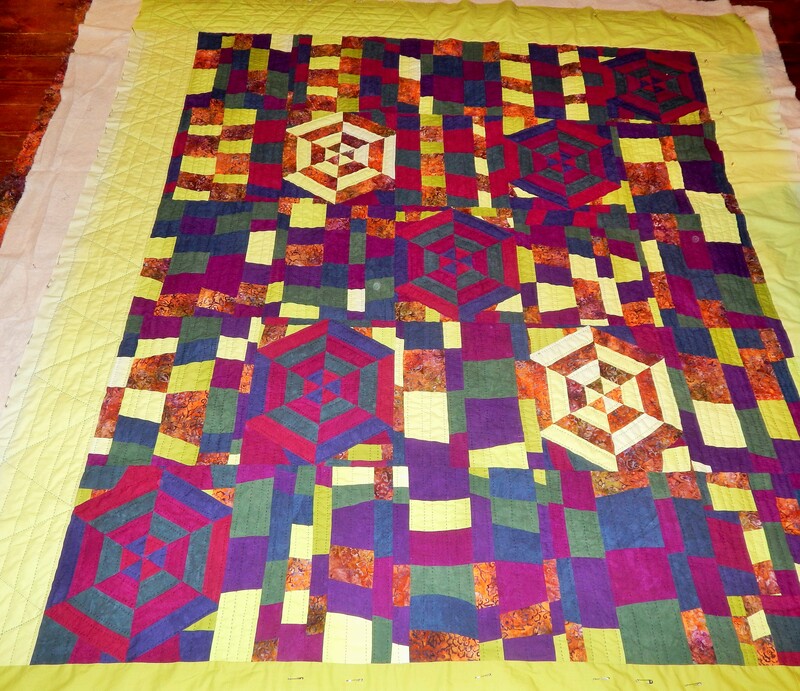 This entry was posted in Quilts and tagged hand quilting, Quilts, why quilts matter. 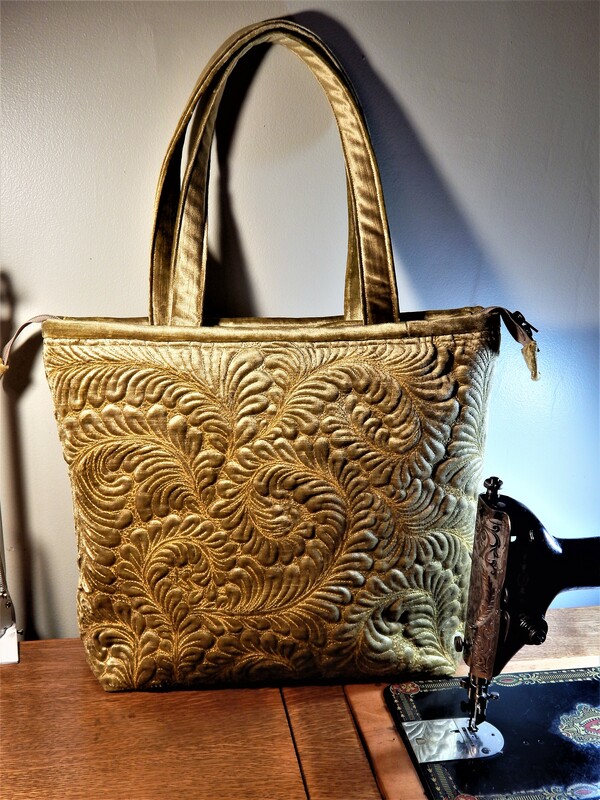 Congratulations on being featured – absolutely well deserved, and nice to read more of your thoughts on the hand quilting process. Love the way you did the border! That’s a new design to me, and will have to make note of it. 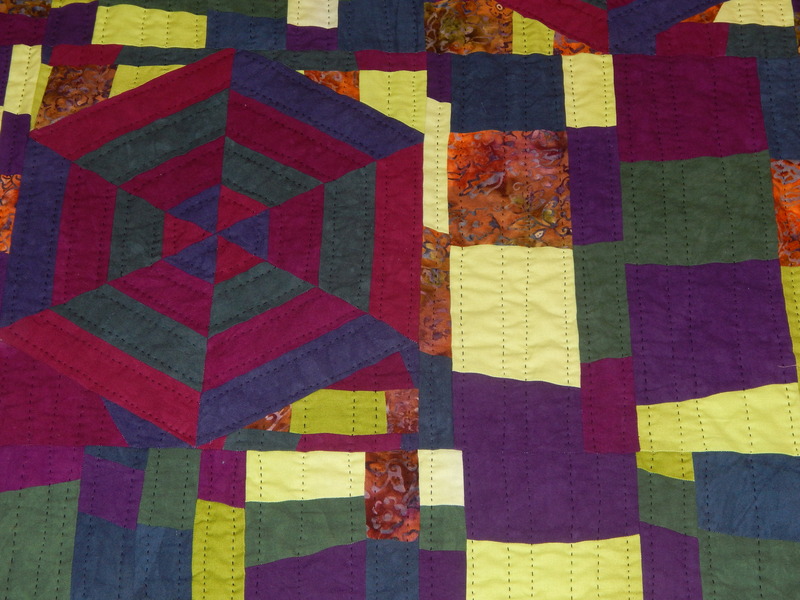 Enjoyed the “why quilts matter” blog. The white whole cloth just blows me away ever time I see it. It’s so wonderful!!! Got any tips on doing a 100″ by 100″ in a lap hoop? 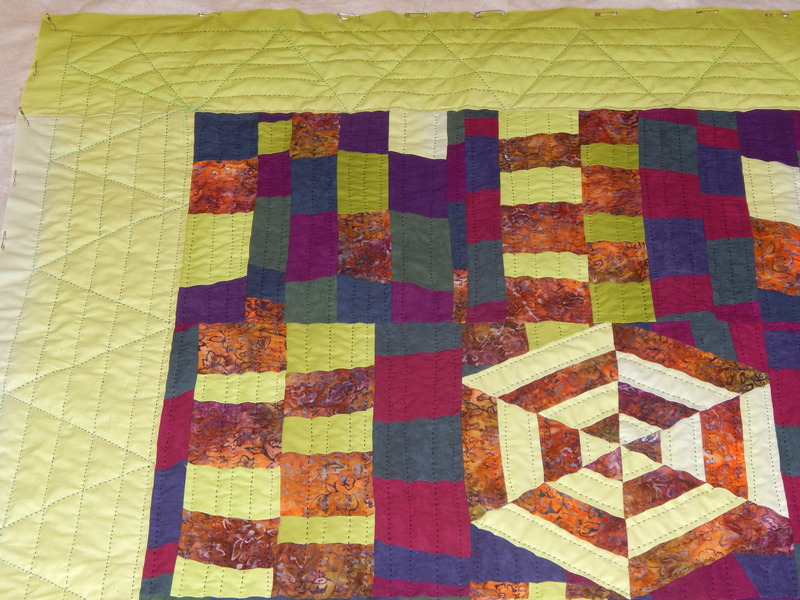 Thanks…..it is a very easy border, I used a 60 degree triangle ruler to mark it. 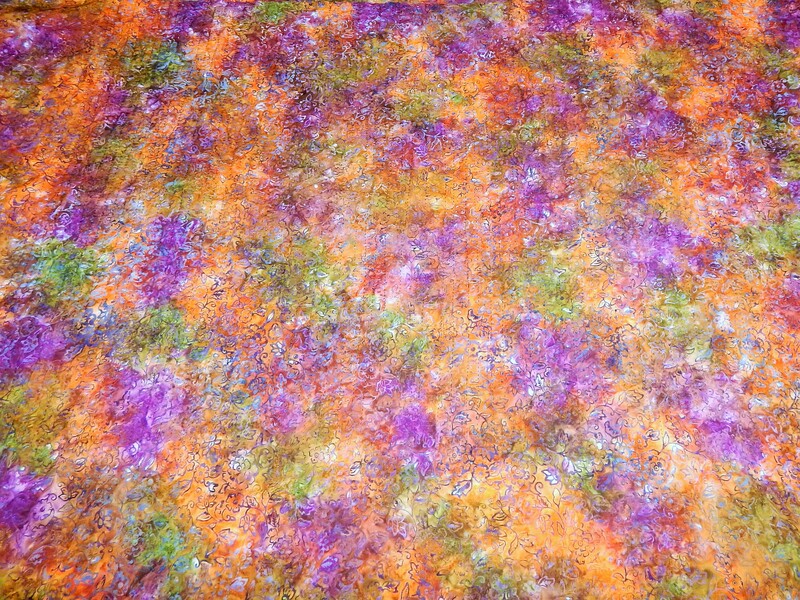 on the big quilt If the extra quilt size bothers you hanging on the floor as you work you can roll up the excess and pin it ….I just let it hang on the floor and when it is all done I wash it…. Wow Tim! 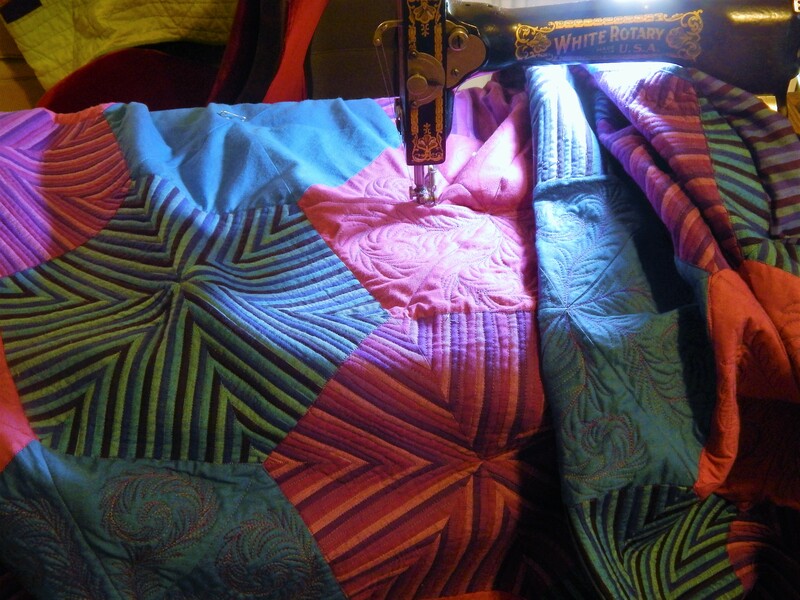 Great post and I didn’t realize that there is continuing discussion on the Why Quilts Matter series. Teddy deserves a day of privacy, and I’m sure he’ll be ready for more pictures soon. I had thought that my 175 UFO’s were enough, but clearly I need to look at some more. .. He will be ready for his close up soon….he prefers to have his pictures taken in the morning….and I didn’t take pictures yesterday until after 9 pm….. 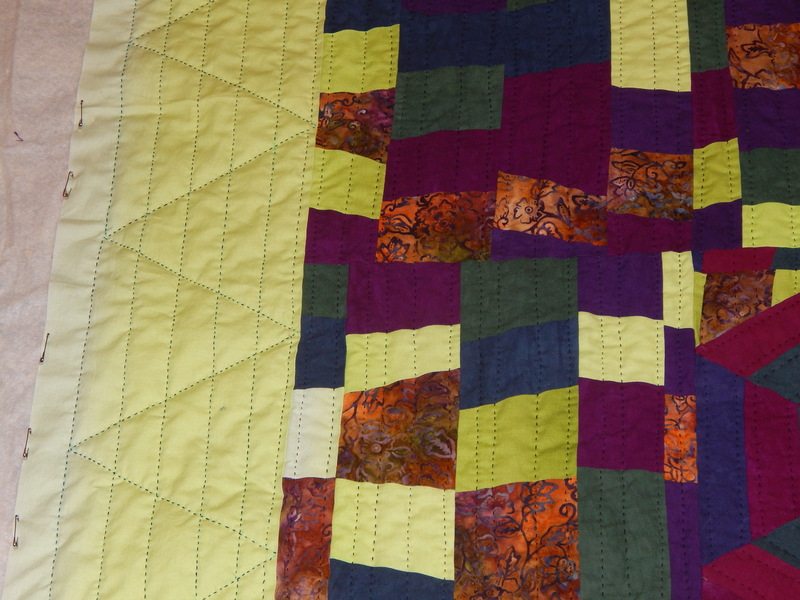 I love how you quilted the corners of the border. Great design!